Worn for increasing the quality of grip, these Easton Baseball Batting Gloves help you swing better and provide more control throughout your swing. 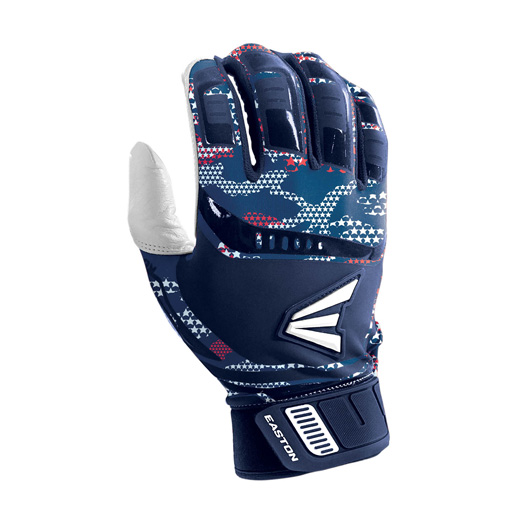 The Easton Walk Off Adult Baseball Batting Gloves feature a smooth goatskin leather palm that enhances your grip and makes you more confident while stepping onto the plate. Additionally, these batting gloves reduce vibrations across your hands on miss-hits. 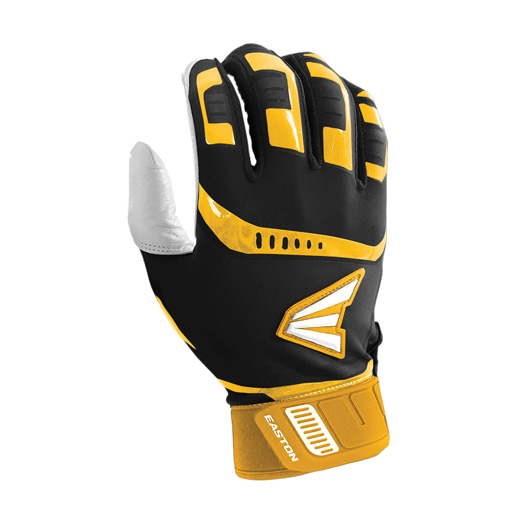 The back of the hand is made with LYCRA, which is fused with matte and gloss silicone to provide structure and enhance flexibility. 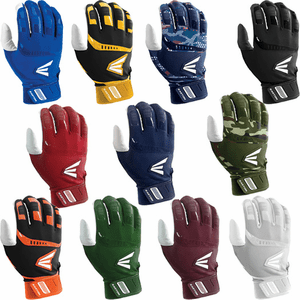 These Easton baseball batting gloves feature molded wrist strap with 40mm neoprene band and branded pull tab, which make it easy to wear. 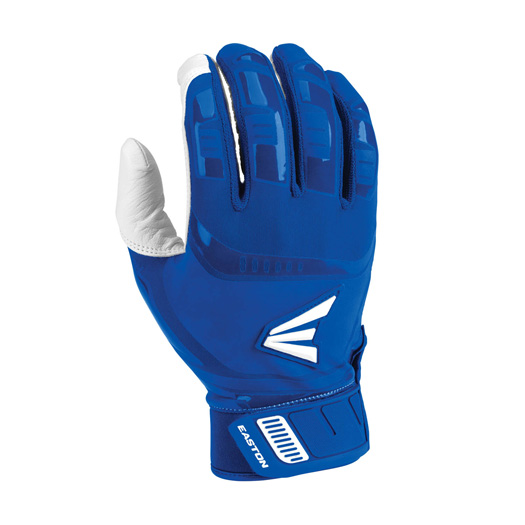 The Easton Walk Off Batting gloves are available in sizes: Adult S-XL. 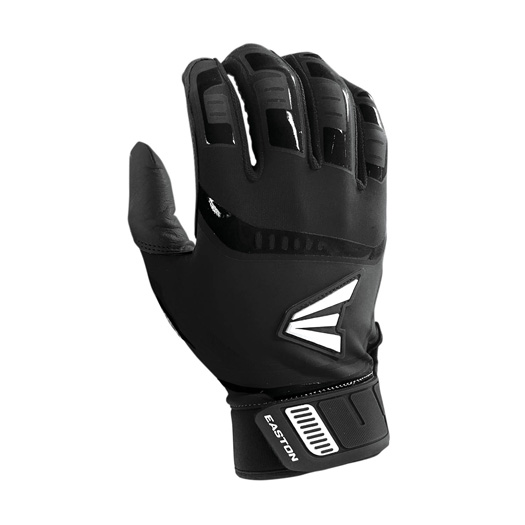 and XXL in Black.